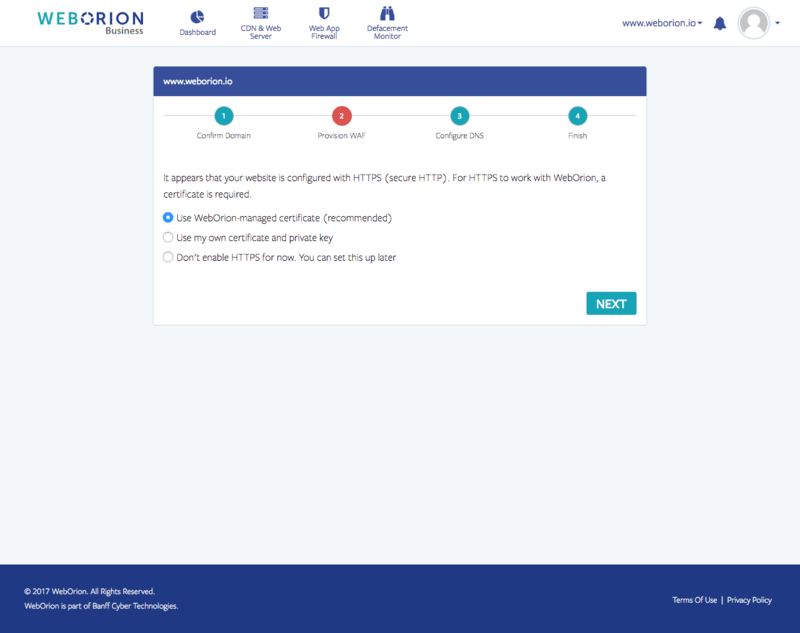 Setting up is simple with WebOrion™. The entire setup process will take you less than 5 minutes, and requires no installation on your server or customisation of your website code. 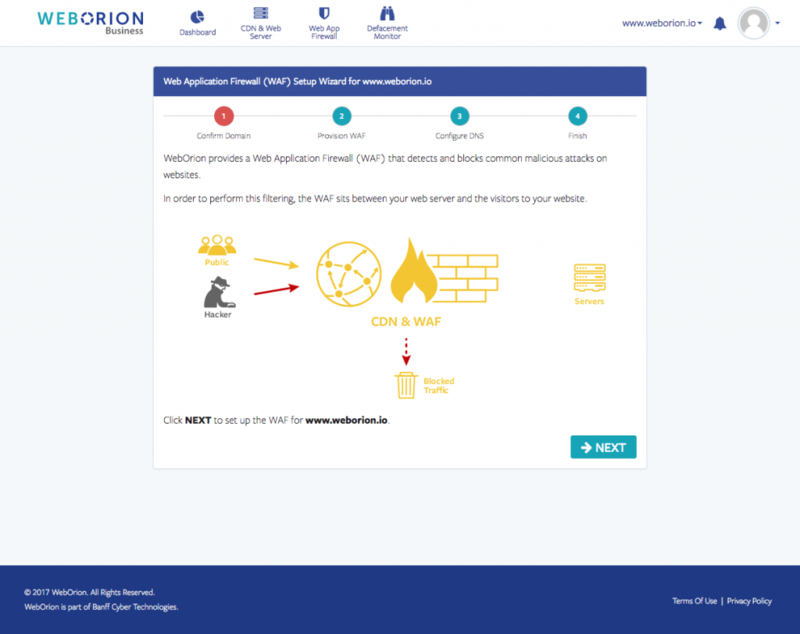 Protect and accelerate your website right now with WebOrion™! 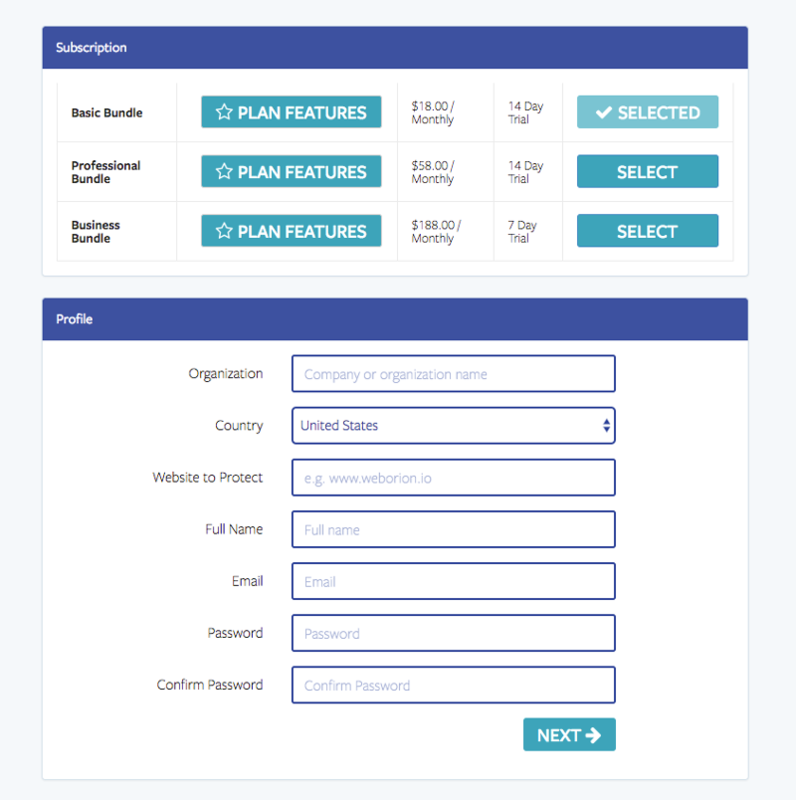 On the sign up page, you can select your plan and fill in your details. Enter your name, domain, and credit card details accurately. We will send you a confirmation email to verify your email address. You may log in after confirming your email. 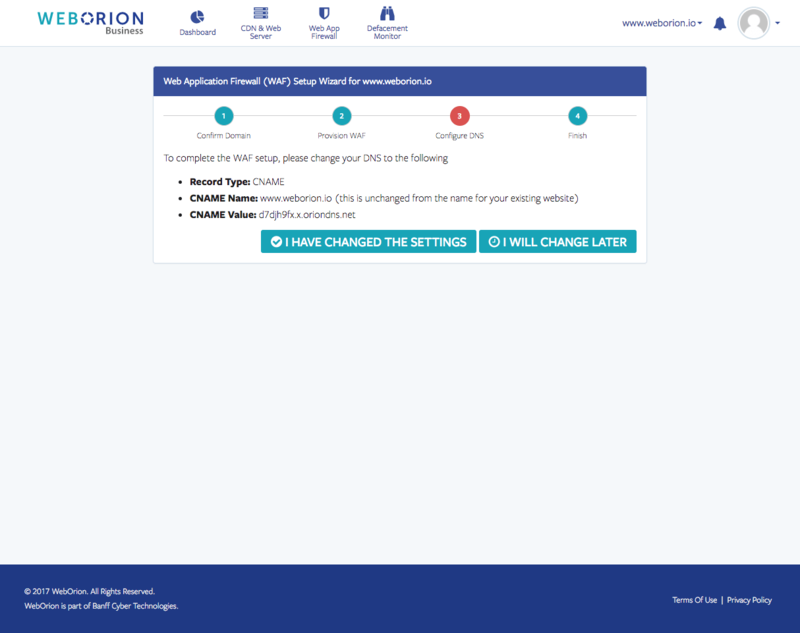 Once logged in, click “Start Now” to set up your domain for it to be protected and accelerated by WebOrion™. The WebOrion™ Protector and Accelerator will fetch the information about your domain at this step. 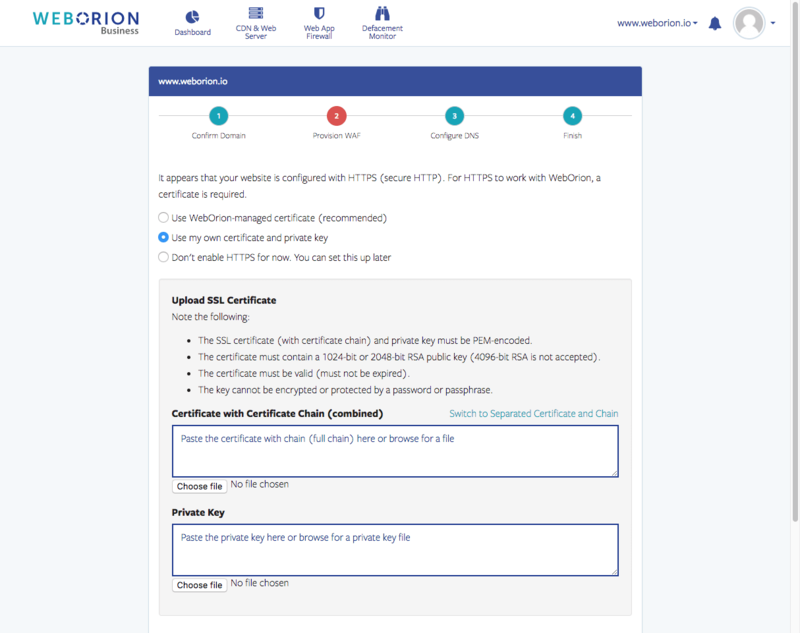 If your website is currently on HTTPS, you will also have the option to switch to the WebOrion™-managed SSL certificate, or to upload your own SSL certificate (Pro plan and up only). 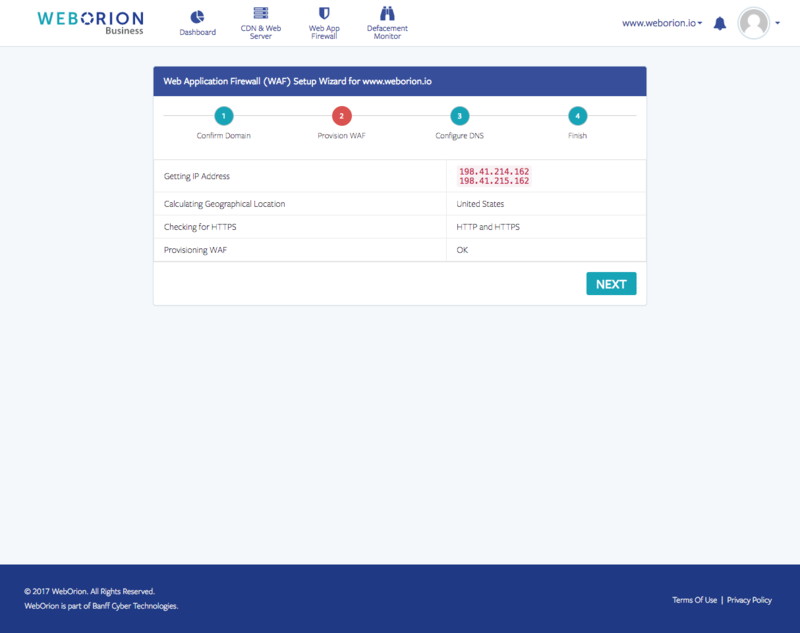 In order for your domain to start making use of the WebOrion™ suite, you will have to change your DNS settings to point your domain to our network. Copy and paste the given CNAME value into your DNS settings within your domain registrar’s settings, or your web hosting control panel. You may find instructions for specific web hosting control panels in our Knowledge Base. 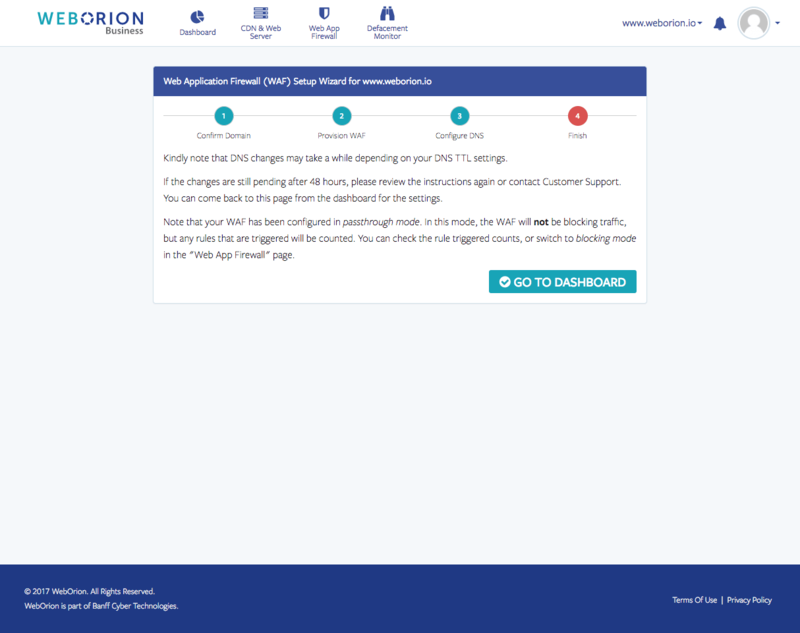 If you wish to make use of the WebOrion™ Monitor to periodically detect changes made to your home page, you can start the WebOrion™ Monitor wizard as well. For more information, please see the Knowledge Base. Search our Knowledge Base or contact us for a personalised walkthrough!